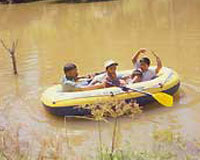 Hotel Sand Banks is located alongside the River Cauvery. Hotel Sand Banks, located alongside the River Cauvery, is nestled in the Polycad Coffee Estate at Ammati which is few kms. off Siddhapur and 30 km. from Madikeri in Coorg District of Karnataka. 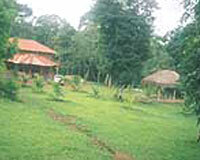 Hotel Sand Banks is an ideal place for nature walk, trekking and to explore the flora and fauna in and around. Sand Banks Polycad Estate Hotel offers four cottages. 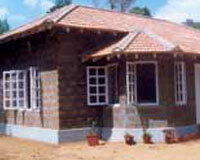 The cottages are categorized into 2 types - Timber Cottages and Coffee Cottages. 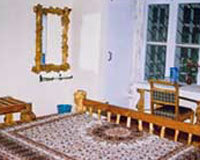 The Timber Cottage has an enclosed verandah while the Coffee Cottage has a fireplace and open verandah. 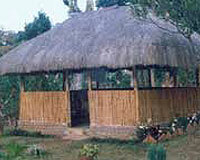 Each cottage can comfortably accommodate 2 couples. 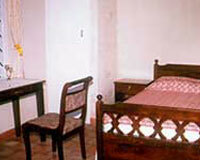 The hotel also provides extra beds and tented accommodation on request. Hotel Sand Banks has a restaurant.